Ali Abbas Zafar’s upcoming film, Tiger Zinda Hai, starring Salman Khan and Katrina Kaif is among this year’s most awaited releases. While Bollywood cinephiles are going gaga over the trailer of the film, many are waiting with bated breath to see Khan and Kaif together doing some ground-breaking action (again). But there are a few people not to happy with the film and its trailer. According to a manoramaonline.com report, the new Yash Raj film is based on the same premise as that of the 2017 Malayalam film Take Off. The makers of the film were reportedly all set to make a Hindi remake of the Malayalam hit. Leading airline company Jet Airways was expected to back the project financially and mark their debut into the showbiz industry. 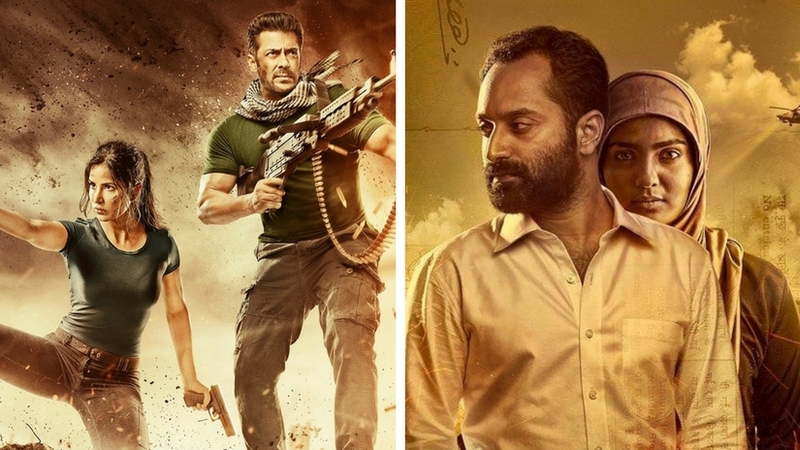 But with Tiger Zinda Hai and the hype around it, the makers feel that filming a Hindi remake doesn’t make any point. Both these films revolve around a group of nurses hailing from Kerala who had been held in captivity during the ISIS siege of Tikrit, in 2014. The city also happened to be the hometown of the Iraqi dictator Saddam Hussein. The Malayalam film Take Off stars Parvathy Menon, Kunchacko Boban, Fahadh Faasil in pivotal roles. The film is written and directed by Mahesh Narayanan and produced by Anto Joseph and Shebin Backer. Tiger Zinda Hai is a sequel to Yash Raj Films’ 2012 blockbuster Ek Tha Tiger, also starring Salman Khan and Katrina Kaif. It was directed by Kabir Khan. Tiger Zinda Hai is slated to release on 22 December this year.